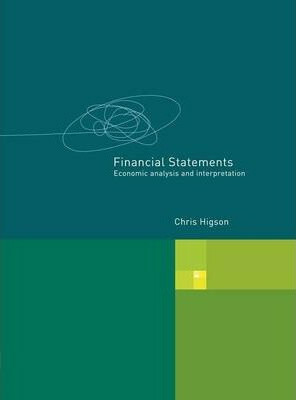 Financial Statements explains the logic of financial statements, and how we use them to analyse firms in economic terms. Its approach is very different to existing books on financial statements, bringing a remarkable amount of order and simplicity to what can appear a complex subject. The book covers a number of issues that have had little attention before, including the analysis of growth, how business model reengineering is affecting reported financial performance, the effect of the firm's accounting model on its reported cash flow and the vulnerability of measures such as EBITDA. The book examines the main problem areas in accounting: where balance sheets are frequently incomplete, the techniques of `off-balance-sheet financing' such as operating leasing, how assets and liabilities are valued in balance sheets, and the tension in GAAP between historic cost and current or `fair' value accounting. The book contains a concise review of the two dominant accounting systems: US GAAP, or Generally Accepted Accounting Principles, and IFRS. Finally the book examines the ways in which firms present their income numbers to achieve a favourable look.